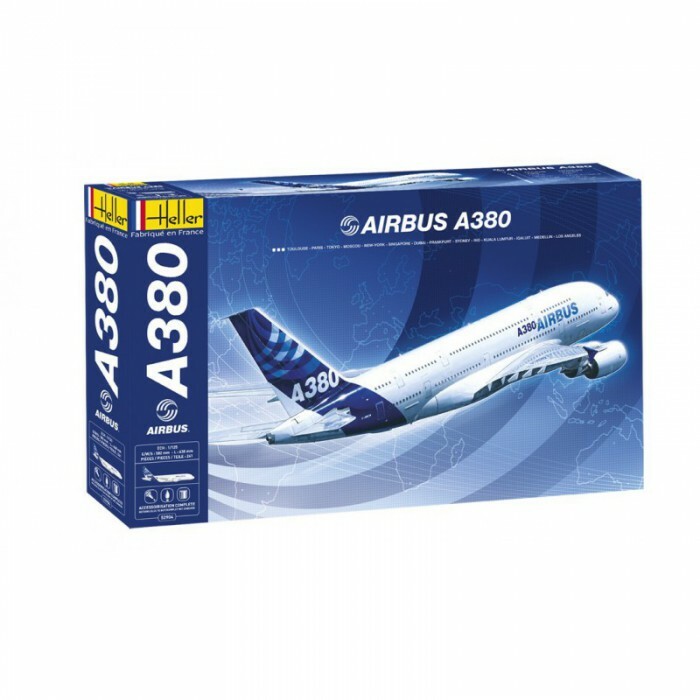 On 18 January 2005, in the giant Jean-Luc Lagardère assembly hall in Toulouse, Airbus officially presented the A380, the largest passenger jumbo jet ever designed, sporting new colours specially created for the occasion. On 27 April 2005 at 10.29am local time (8:29am UTC), the first A380 (MSN - Manufacture Serial Number - 001), registered F-WWOW, took off from Toulouse-Blagnac for its first flight lasting 3 hours and 54 minutes, without a hitch. Measuring 73 m in length, the A-380 is as long as eight buses, as tall as a seven-storey block of flats, weighs as much as 500 medium-sized cars and can fit 70 private cars on its wings. These extraordinary characteristics will require a special lay-out in airports intending to welcome it (runway width, splitting of loading satellites). Thanks to the cutting-edge techniques that have been used for its manufacture and motorization, the A-380 consumes 12% less fuel than the Boeing 747-400.